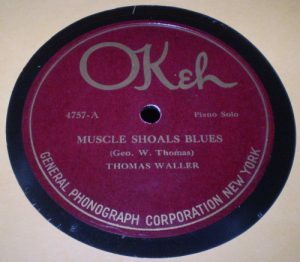 “A” Side: Muscle Shoals Blues (S-70948-D). Condition: E+, Excellent Plus, with a few light scratches. "B" Side: Birmingham Blues (S-70949-D). Condition: E+, Excellent Plus, with a few light scratches.